Nat offers occasional classes at Maitri Studio, including fundraising yoga classes for Surfers Against Sewage. With a vinyasa style to her teaching, she connects the breath with the movement to find flow. These classes have been inspired by the ocean and will be suitable for all levels. Pre-booking helpful to secure your place, but drop-ins welcome if we have space! 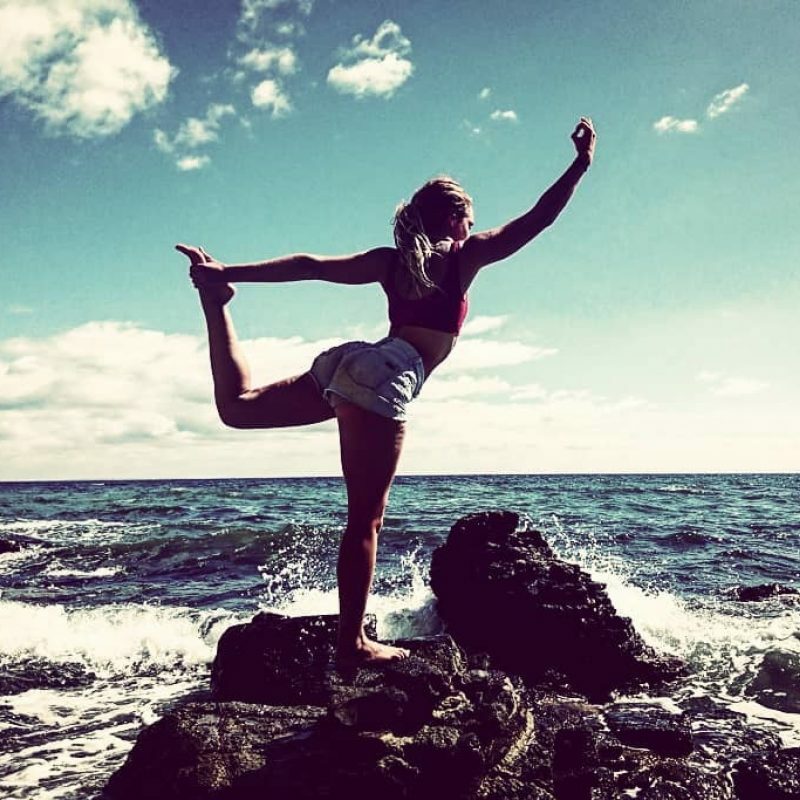 Natalie Burns grew up surfing and developing a connection with the ocean, which she intertwines into her yoga. Natalie completed her Yoga Teacher Training in Rishikesh, India in November 2017 and since then has run Yoga for Surfers workshops in Belfast and Portrush. With the ever increasing plastic pollution this class will be a fundraiser for the charity Surfers Against Sewage. They are a grassroots movement tackling the plastic in our oceans and protecting the UK coastlines. Any donations will make a difference. For Natalie, yoga unites the physical with emotional and spiritual body.